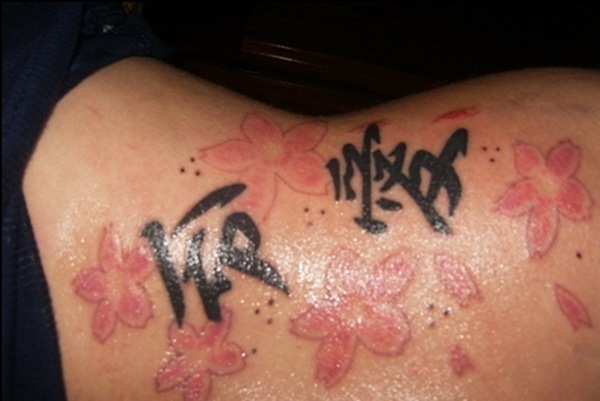 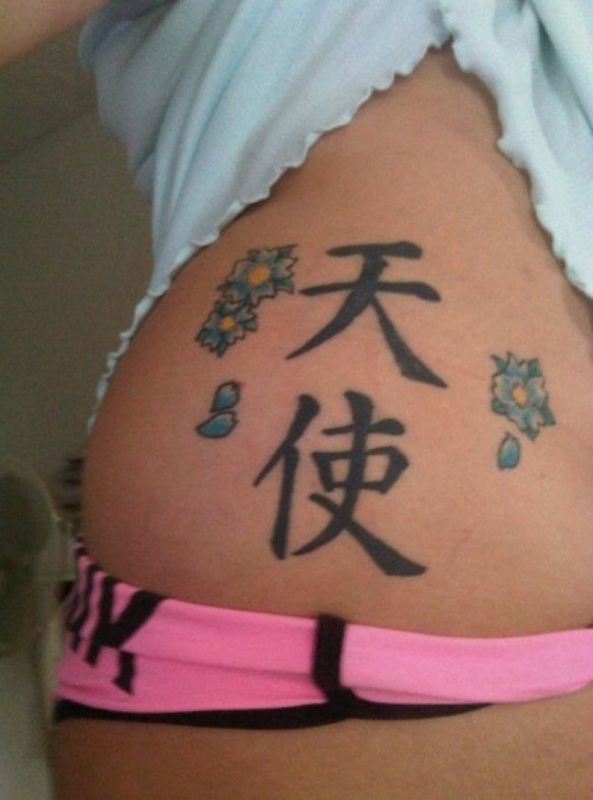 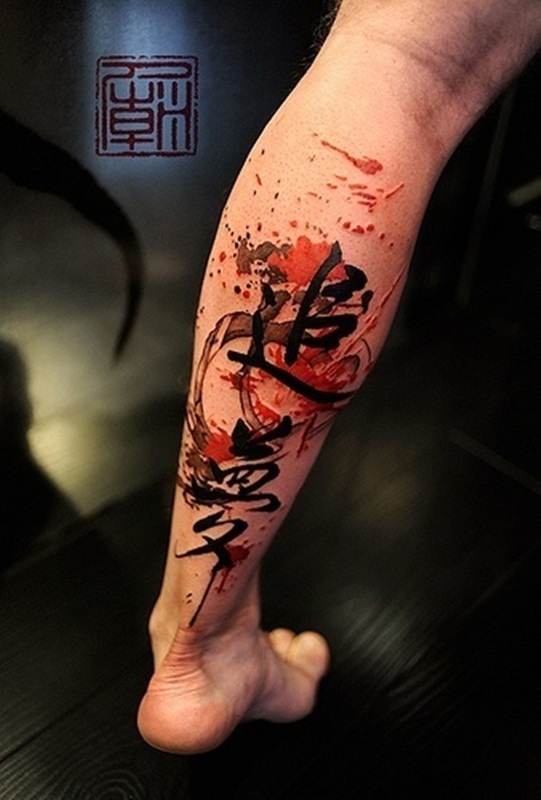 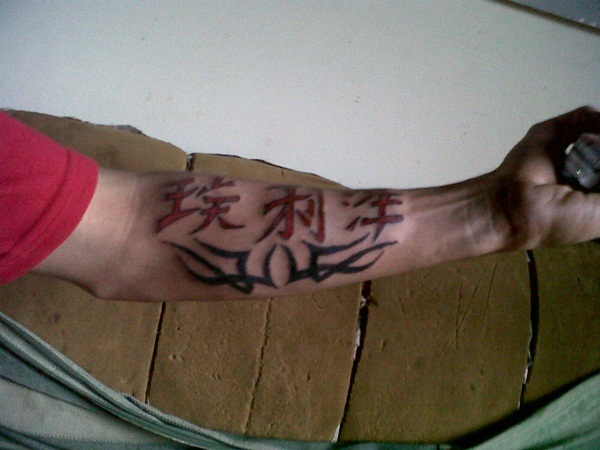 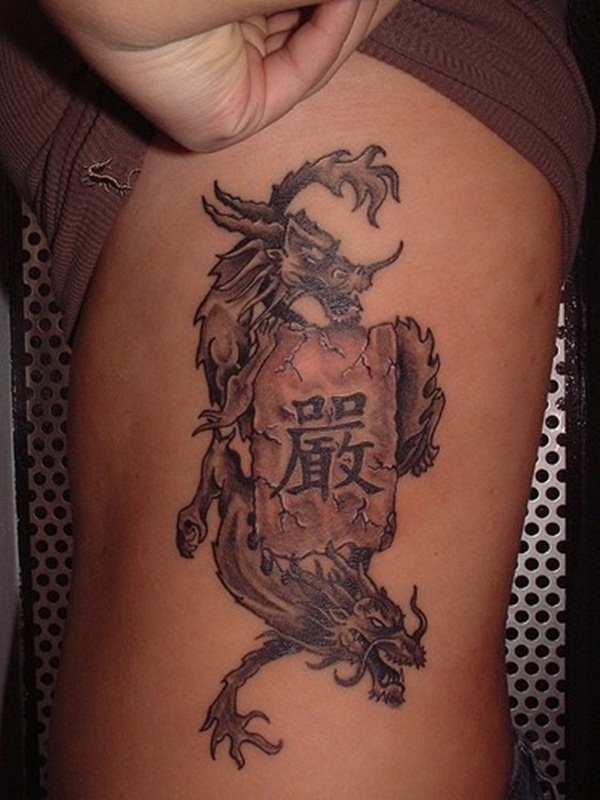 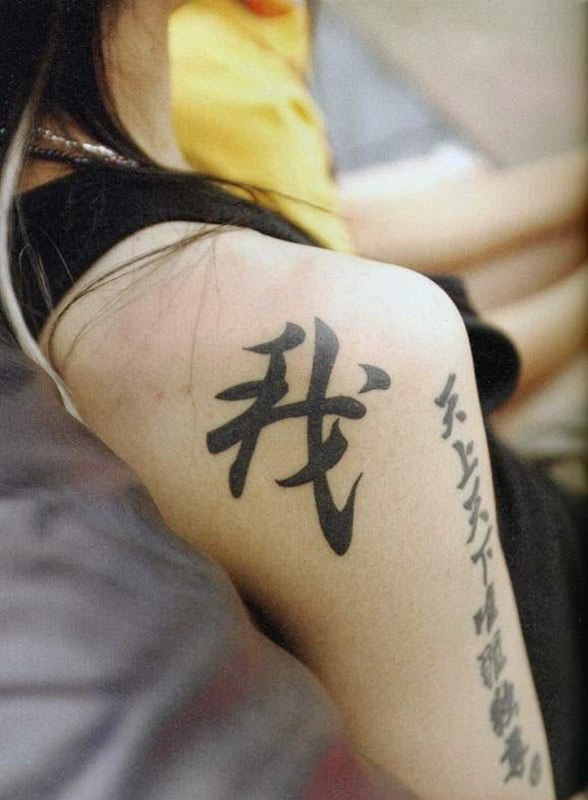 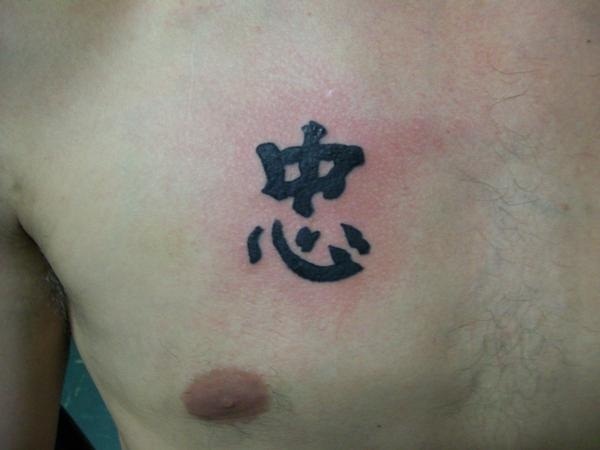 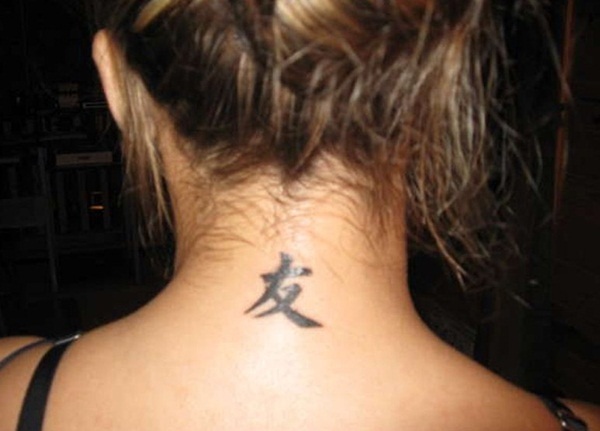 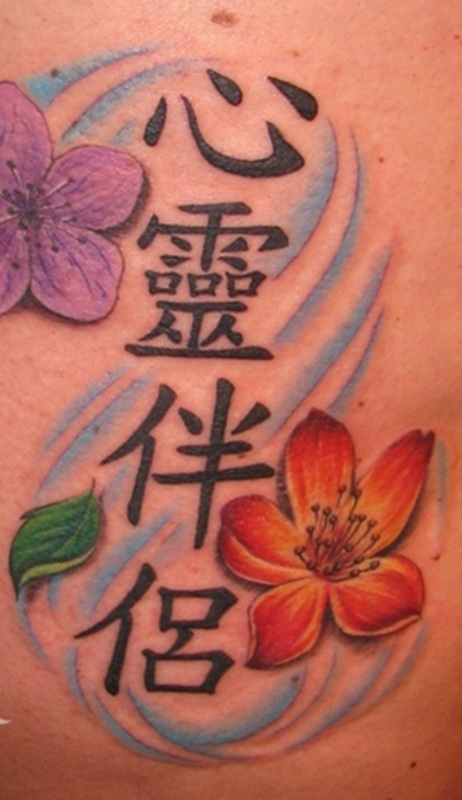 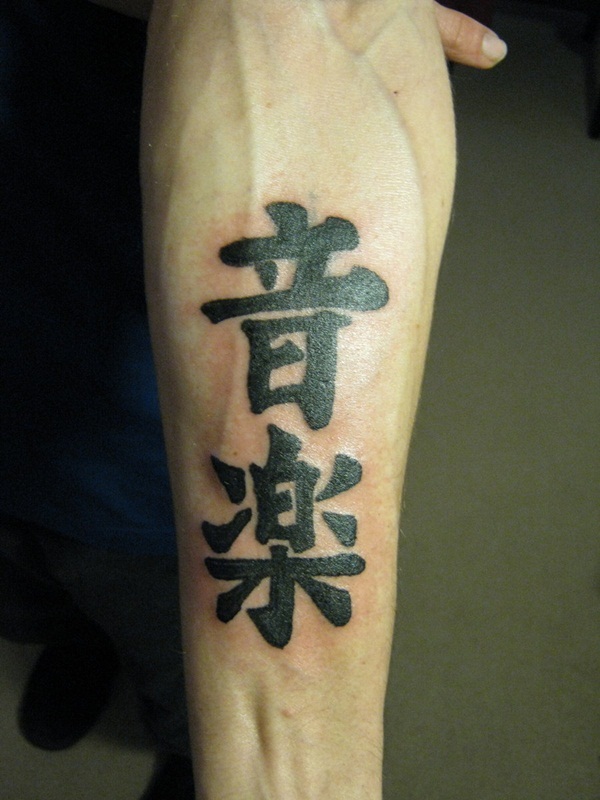 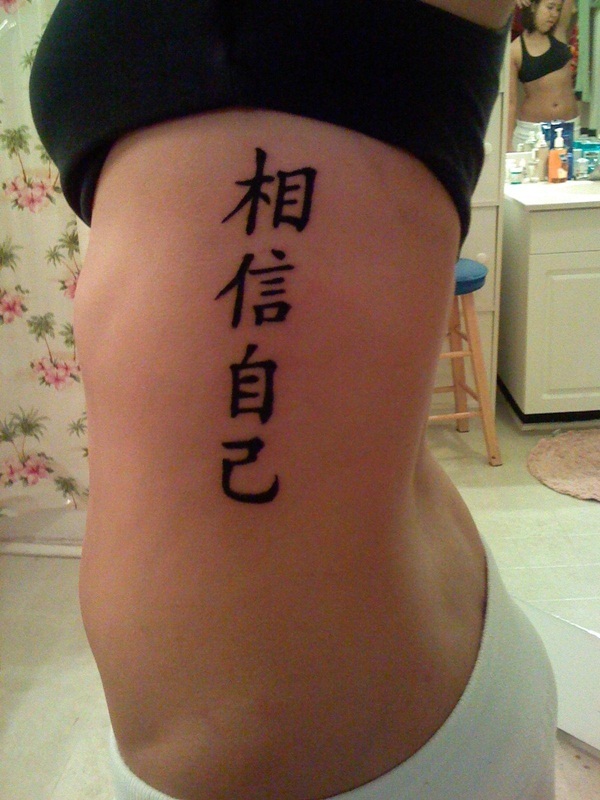 Many people show an inclination towards getting Chinese Sayings Tattoos as part of their tattoo designs. 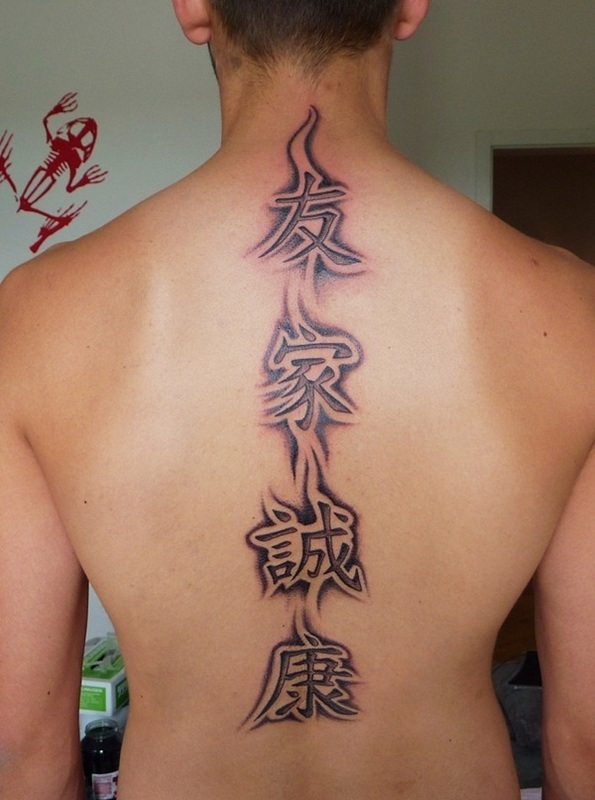 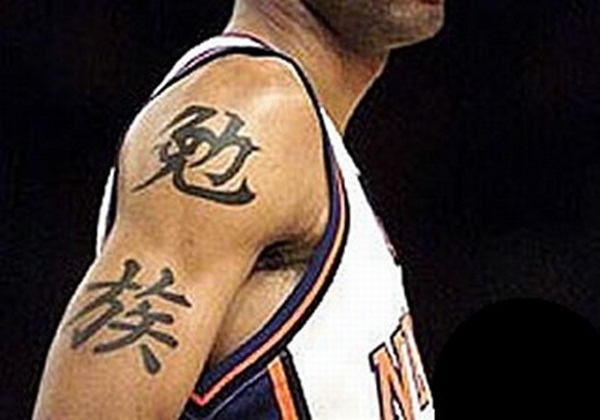 The best part of Chinese sayings in the form of a tattoo is that they look great and mysterious and also say something really profound and meaningful. 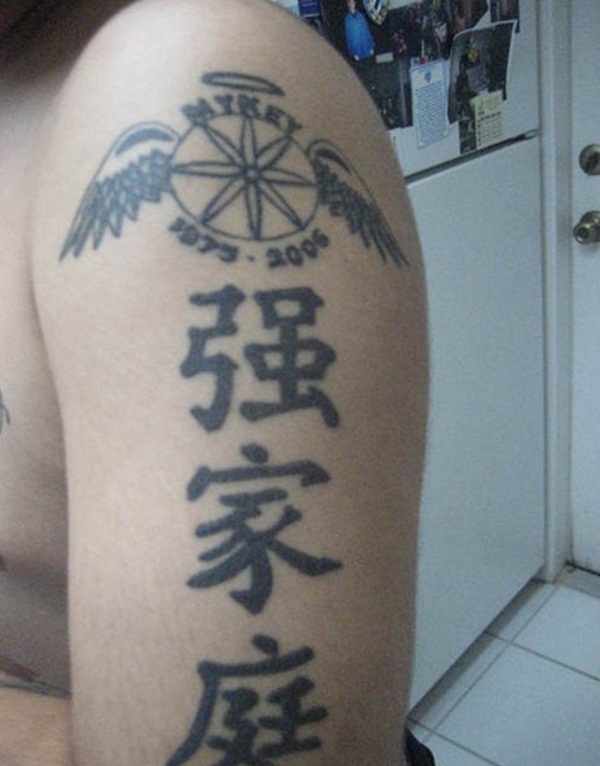 These words could mean a lot and carry wisdom from times past. 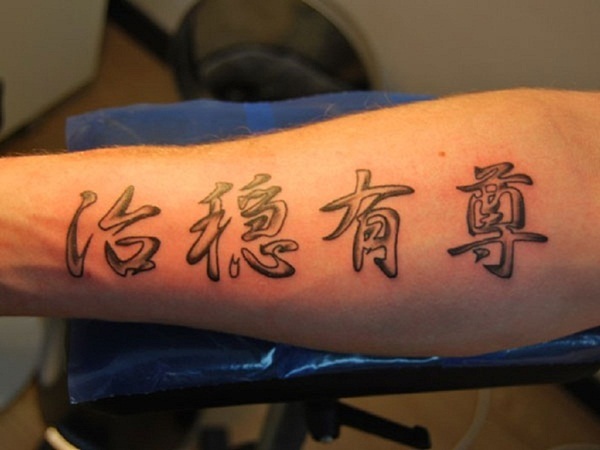 You can find the meaning of a phrase or expression that you find attractive by using a translating tool, but it would be better if you had the help of an expert. 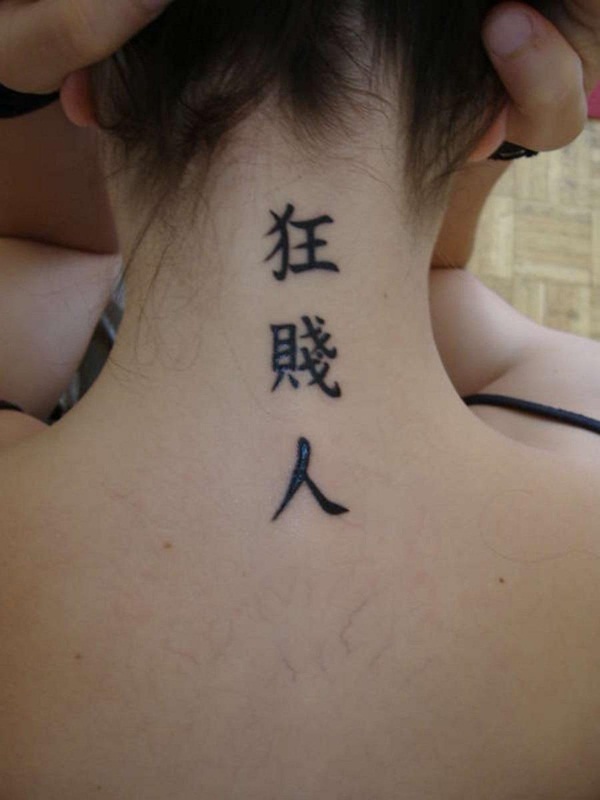 Otherwise you may choose a phrase that you feel means something different from what it actually means. 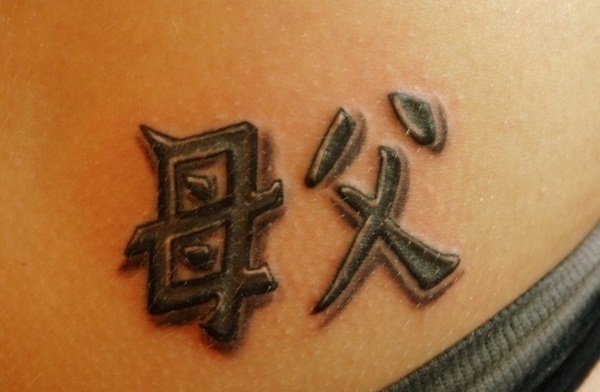 We can understand the appeal of Chinese saying as they are based on a culture that is really old, leans towards Buddhism and has Zen based sayings. 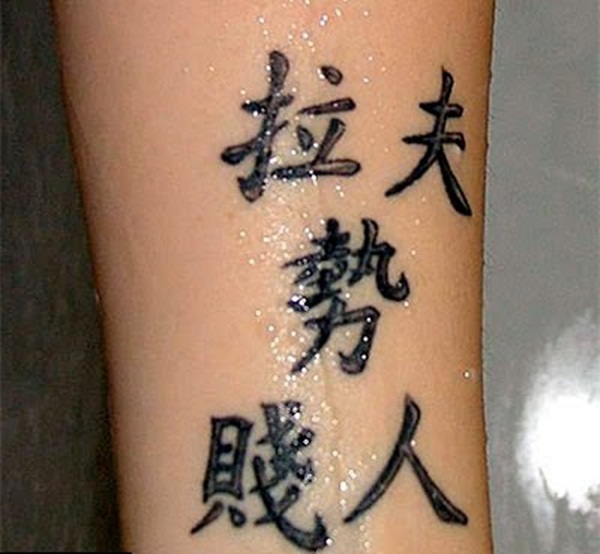 You can pick from a huge collection of sayings – something that appeals like a mysterious but meaningful saying that has helped you when you where down. 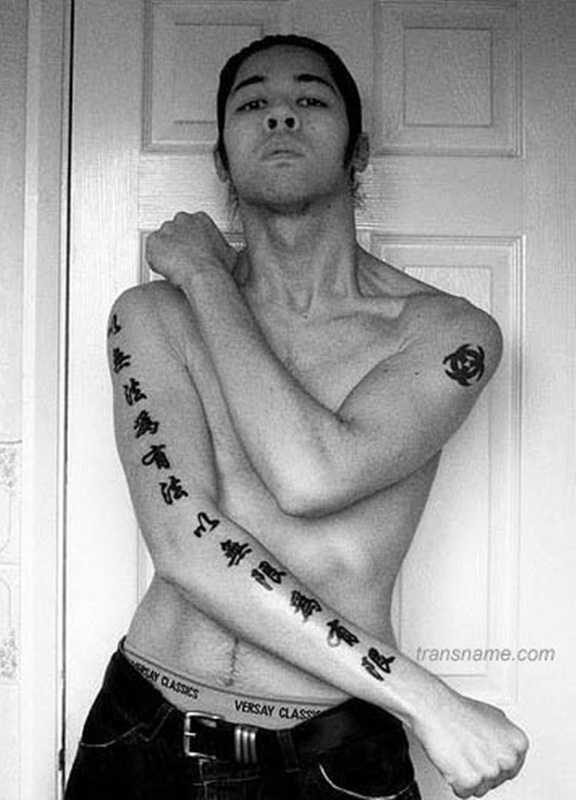 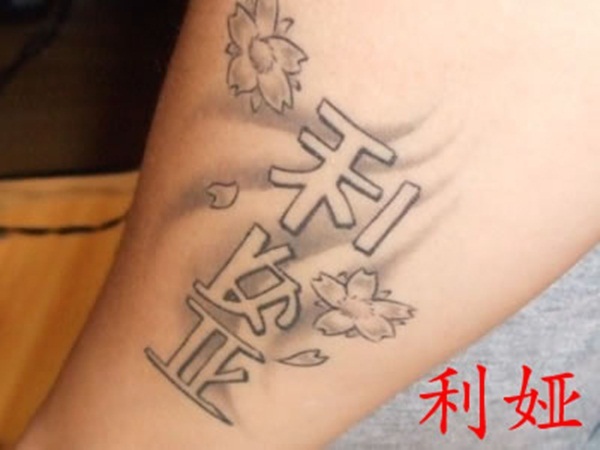 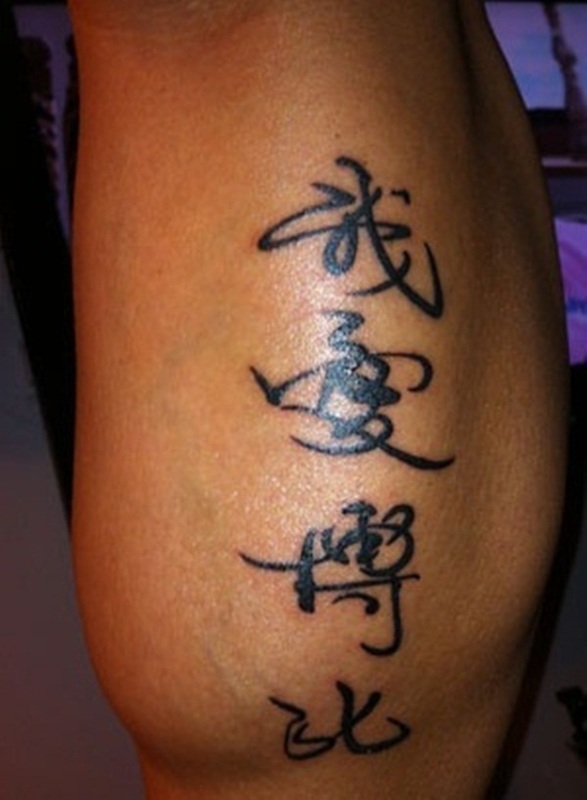 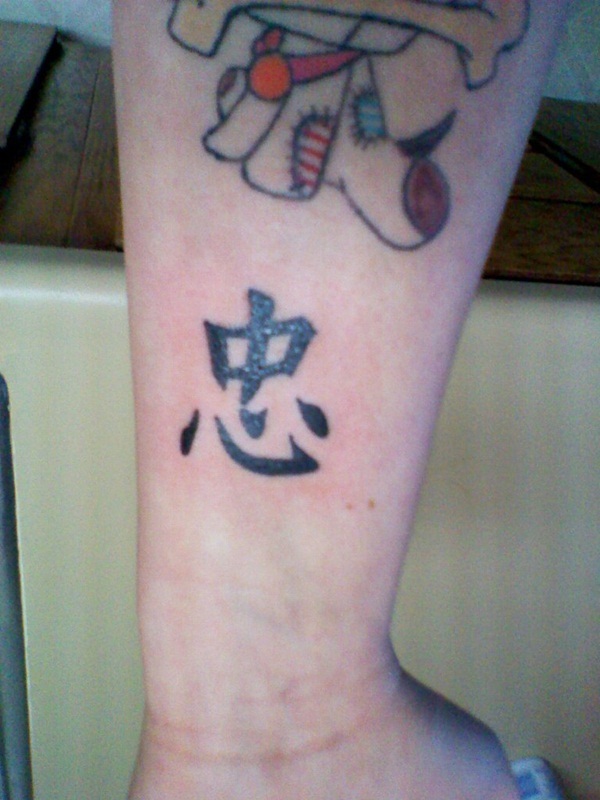 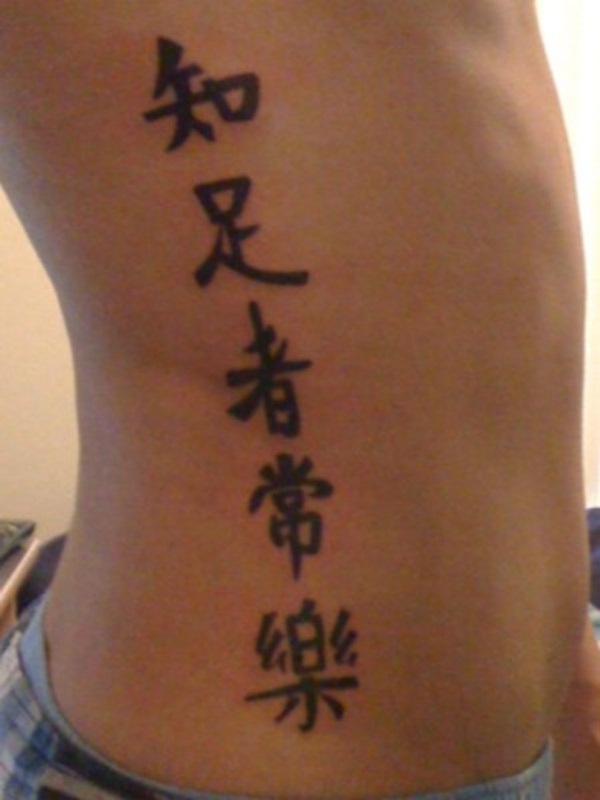 There is no doubt that the trend to get a Chinese Sayings Tattoos has become all the rage among both the genders. 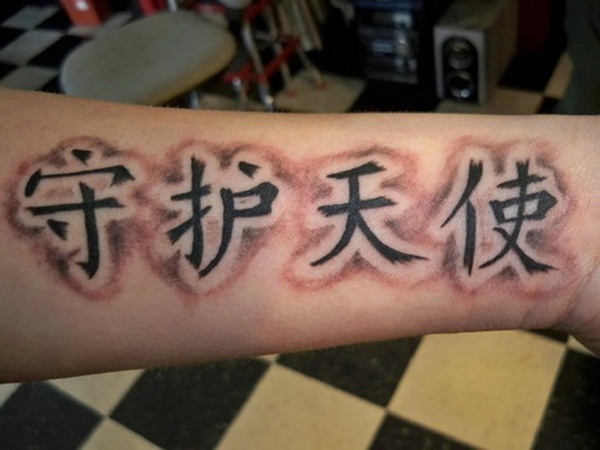 But the thing about Chinese language is that it is not a straightforward language and if you have picked a phrase that can be understood in different ways, the whole basis of your tattoo design would fall apart. 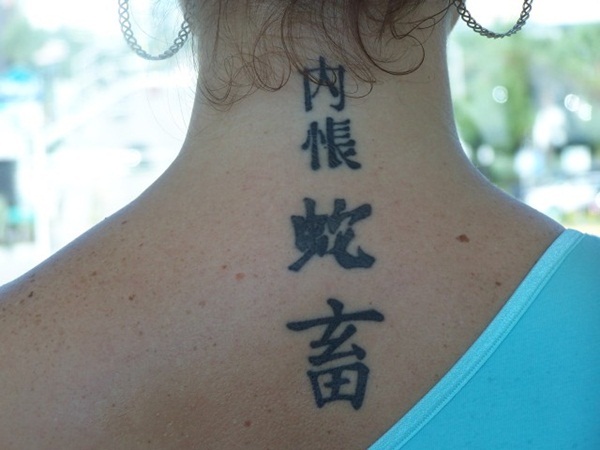 We can give you a simple example of a woman who found a set of beautiful characters in Chinese on a restaurant menu. 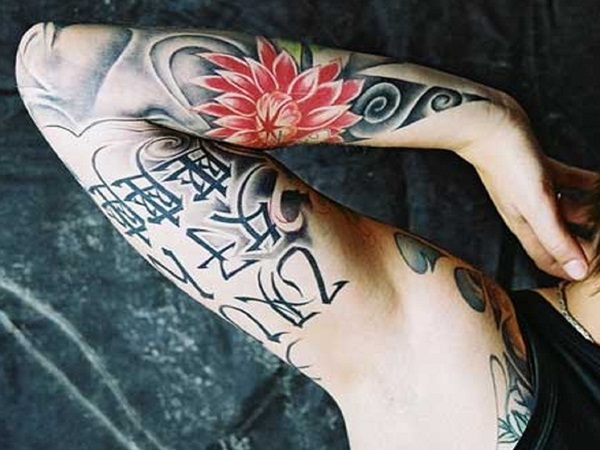 She liked it and used the pattern to knit into a sweater. 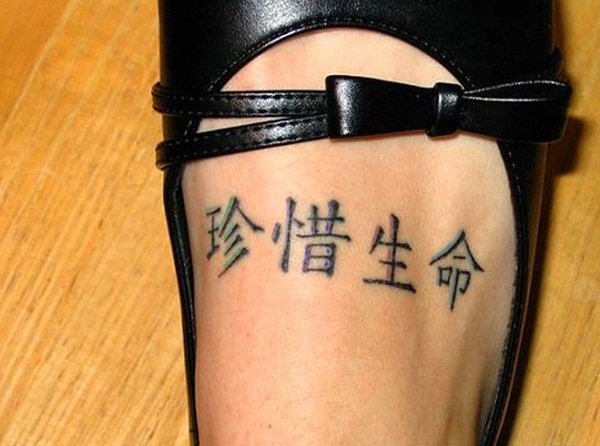 She would often find Chinese people on the road pointing at her and laughing. 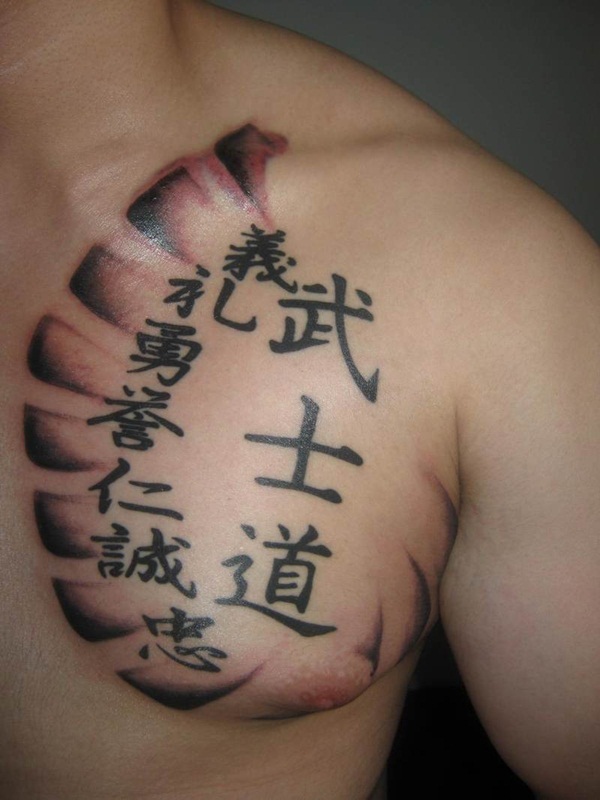 Finally a Chinese friend translated the meaning of the words – it said “the dish is cheap but very tasty”. 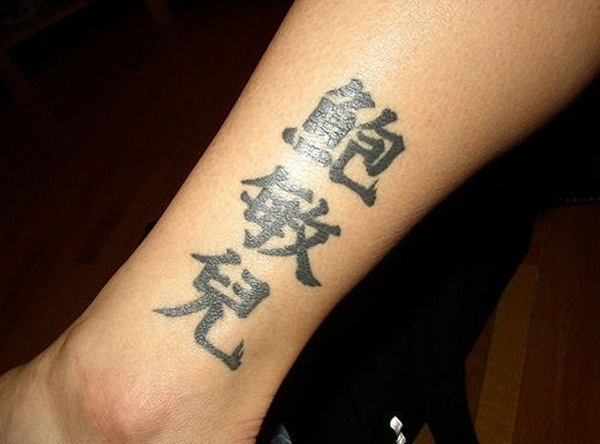 You don’t want such things happening to you, so please find out the exact meaning of a saying before having it tattooed.